Readers of the Parish Magazine and visitors to this website have recently provided more information about Frank Shepherd and about Samuel Rutter. 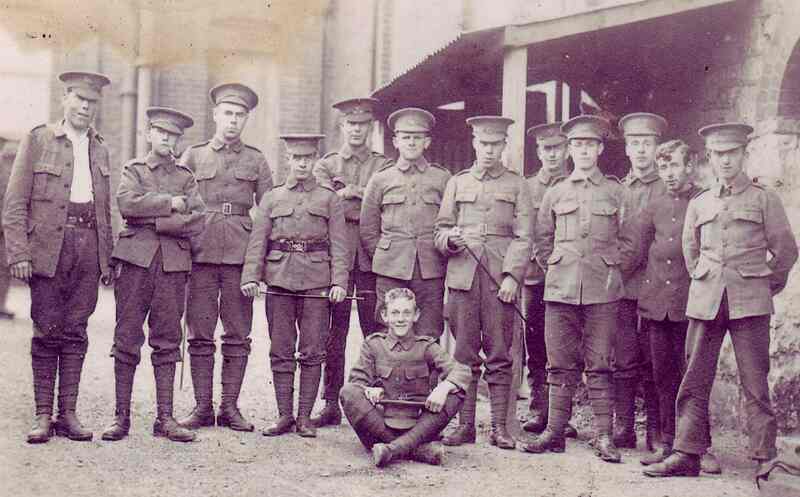 Relatives of Frank Shepherd, who had lived in Weston, provided information about his time in Mesopotamia and on the Somme – and a striking picture of him in uniform. The family could recall him describing conditions in the trenches and how, when opening a can of food, it would be black with flies even before the lid was off. Two of Frank’s brothers died as a result of the war: Charles on 10 January 1918 and Frederick in 1924 after being seriously injured and invalided home for hospital care. Samuel Rutter, featured in the picture above, had been 37 at the outbreak of war and was a carter on the Bonham Carter’s Manor Farm, living in Bones Lane. Having enlisted in May 1915 he was sent to France with the Highland Light Infantry in April 1917 but suffered in a gas attack which damaged his lungs. During his relatively short period of front line action his wife, Violet, was expecting a child and this must have been a very stressful time for all concerned. The special publication about the First World War, through the eyes of Buriton people, is now being finalised and will be available, free of charge, to parishioners and contributors. If you have any more information on this topic, do let us know so that we can continue to add to the depth of knowledge about this special community.